Our relationship with selected partners has been built over a period of three decades in some instances, and in many cases the expertise in any particular field has derived from developments addressed at resolving project challenges. 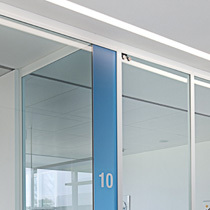 Our Partner selection covers most day to day needs for standard furniture and partitioning projects, but also addresses more specialized designs. 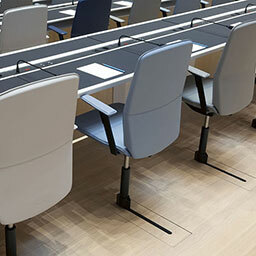 Spanish manufacturer of tip-up seating for auditoria, theatres, conference centres and multi-purpose halls. 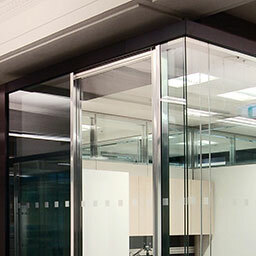 Specialized in bespoke solutions including retractable and floor folding systems suitable for multi-use environments. 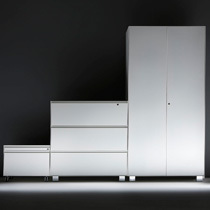 Dieffebi is an Italian office furniture manufacturer specialized in the steel storage sector. Every Dieffebi product is made in Italy using the most advanced technologies. This ensures the highest quality standards, accuracy and durability over time. 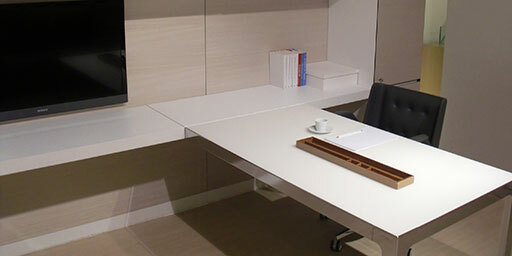 Their design is elegantly minimal with constant attention to new trends. 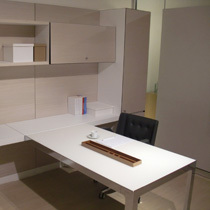 Founded in 1937 as an Italian domestic furniture manufacturer Estel moved into the office furniture market in the 80s and has for some time been a leader in office desking, seating and partition manufacture. Known particularly for their expertise in wood and veneer working they produce some of the best pieces for both residential and commercial environments. 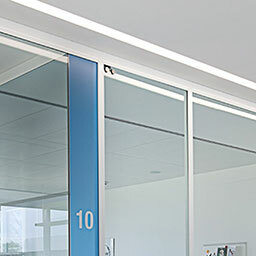 Faram is one of Italy’s leading design led office furniture manufacturers specialising in demountable glazed partitioning and systems and executive desking. Founded in 1957 they have a rich history, and have garnered a reputation over the last 25 years for both beautiful designed and well-engineered products supplied throughout Europe, Asia, USA and Middle East. Klöber is an internationally recognized manufacturer of high-quality office seating designed to the highest ergonomic standards. Established in 1935 and based near to Lake Constance in Germany, Klöber has an enviable reputation for innovation, design expertise and precision workmanship. 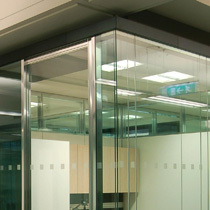 A modern and flexible partitioning manufacturer based in Padova, Italy, renowned for the unique Diva system and a number of state of the art framed and frameless glazing systems. A flexible design and manufacturing process allows for quick response times and a high degree of customisation for each project. 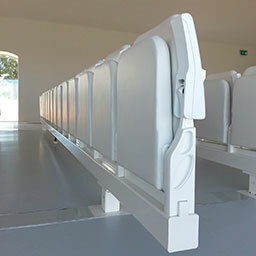 TRENDELKAMP – Innovative Mechanical Engineering since 1897. 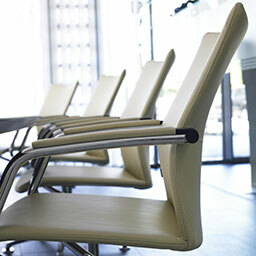 TRENDELKAMP is the world´s leading producer and patent holder of chair track systems. 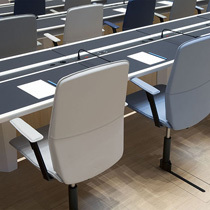 ChairTracks™ enable a linear movement of a chair within an individually defined track lane. 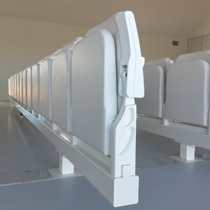 The retracting mechanism lets the chair automatically slide back to its basic position.